- The price will be € 260 (+ shipping) from 11 of October to 10 of December. Then the price will be € 290 (+ shipping). BE QUICK AND TAKE ADVANTAGE OF THE €30.00 DUISCOUNT!!!! - The number of copy will be the same as the number of order. For example if you make the order No 128 then you will reserve the copy No 128. 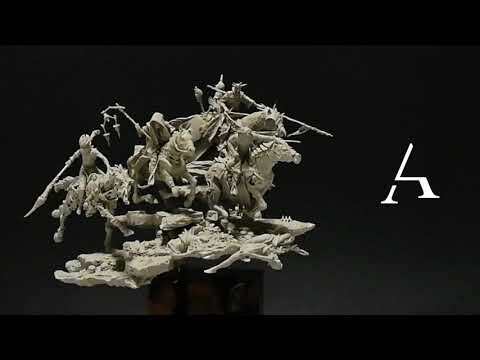 - 4x mounted unpainted miniatures (riders and horses). …All these in a deluxe wooden box.